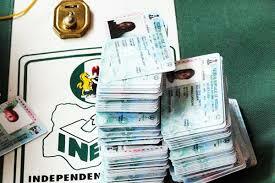 The Independent National Electoral Commission (INEC), in Benue State, has said that 238,829 Permanent Voters Cards (PVCs) still remained unclaimed by registered voters in the state between April 2017 to August 2018. The Commission disclosed further that a total of 464,495 eligible voters were captured during the Continuous Voters Registration Exercise that took place between April 27, 2017 and August 31, 2018. INEC’s Head of Voter Education, Publicity, Gender and Civil Society, Emmanuel Okpe, who disclosed this to newsmen, in Makurdi, said only 22,999 PVCs were distributed between the commencement of the exercise last year and when it ended on August 31, this year, leaving the Commission with a balance of 181,745 PVCs yet to be collected. “Before the starting of the Continuous Voters Registration (CVR) on April 27, 2017, the commission had a total of 464,495 registered voters in the state out of which 204,744 PVCs were received from the headquarters and yet to be collected by people in the state”. Okpe explained further that during the new registration exercise, the Commission received 78,829 newly printed PVCs that were brought to the state out of which 21,754 persons have collect theirs while 57,075 were yet to be collected by their owners. He lamented that despite the efforts made by INEC in the state through public enlightenment campaign, some people were still unable to register during the exercise until it was temporarily suspended on Friday, August 3, this year. He, therefore, appealed to the people who weren’t captured to be patient until after the 2019 general election when fresh registration would commenced.